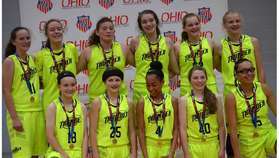 We are excited to announce Cincy Thunder Class of 2022 will be holding tryouts on Monday, February 19th, 2018 from 6:30 - 8:30 pm at Lebanon Junior High School (160 Miller Rd, Lebabnon, OH 45036). Although we are the class of 2022; our goal is to prep our girls for Varsity basketball & beyond; therefore, we play up to challenge our girls & prepare them for their future. With that being said we are extremely interested in girls from the class of 2021. Our primary needs are Center/Power Foward but we will be looking at other positions as well because no positions are given, they are earned each year. Elite girls from the class of 2023 who want to be challenged are also encouraged to apply. 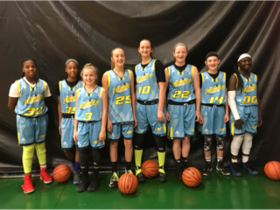 If you are interested in trying out fo the upcoming 2018 spring/summer season please click the "contact Us" link and provide as much information as possible about yourself/daughter in the comments section including: Name, school attending, graduating class, previous AAU/Club Teams & years and position. Feel free to provide details regarding skill level and any other information that may be helpful for evaluation as well. We look forward to hearing from you and seeing you on February 19th @ 6:30 pm!